But out of all days, I didn't bring my camera today. Seriously! 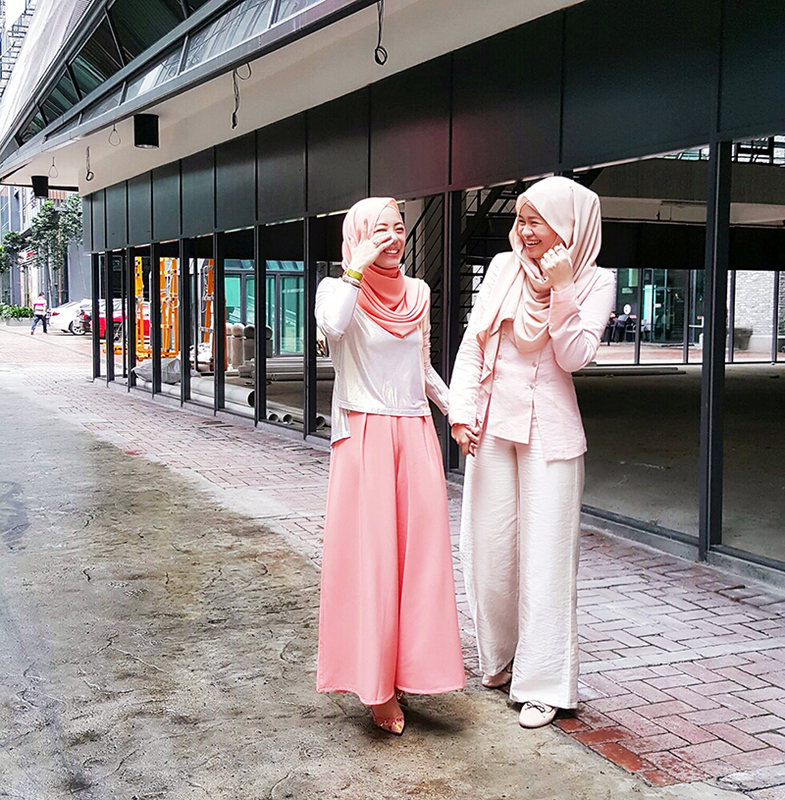 So, Iman helped capture this fun moments with Vivy's phone. Vivy's wearing the newly released aere's DEA Reversible Cropped Metallic Top and I'm wearing aere's VITA Double Breasted Multi-Way Top and aere's CERUS Pants. This post reminds me of the time when both of us wore dUCkscarves in May 2014 last year in my post The Red Duck. Times sure flies since I posted a photo with Vivy in my post KLFW 2013 and this year when we were featured together as blogged in my post In The Cosmos , Surprise Fashion Feature in November last year, In the News : Life and Times July this year and more recently in the video in Essence of Grace at KLFW 2015. Vivy's wearing dUCkscarves and I'm wearing Sugarscarf.